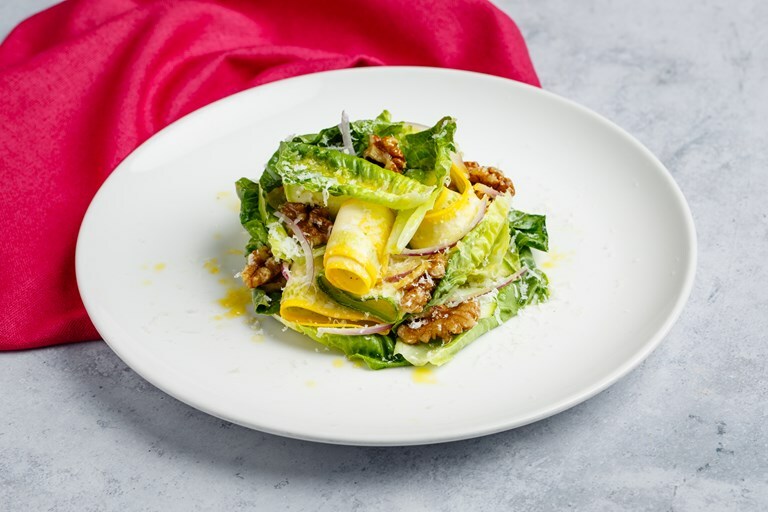 Bryn Williams' healthy take on a Caesar salad swaps mayonnaise for walnut oil, and adds walnuts and courgettes into the bargain. Toasting the walnuts is key to get that earthy, nutty flavour running through the dish, as well as giving the salad a satisfying crunch. Serve as a light summer main, or alongside a larger meal.